LEGAL, REGULATORY, SOCIAL AND ENVIRONMENTAL ISSUES. RISK ANALYSIS, CONTINGUENCY PLAN AND EXIT STRATEGY in the wedding and event business plan. OTHER CONSIDERATIONS, CONCLUSIONS AND RECOMMENDATIONS. 1.1 The following report and recommendations relate to the proposal by Debbie’s wedding and Events Company to be established at Victoria Island Lagos. 1.2 The proposed project will require a start capital of 5,655,000 (five million, six hundred and fifty five thousand naira) only, made up of N2, 155,000 in fixed assets and N3.0million in working capital. 1.3 The enterprise vision is “to make the events of clients’ a memorable and pleasurable experience and be an outstanding events company” in Nigeria. 1.4 The project will be sited at Lagos, VI area where over 1,500 marriages are registered each year, which creates a sizeable market potential. 1.5 Based on our market survey, a ready market and available online customers exists for the planned business. 1.6 This project has been subjected to SWOT and Risk analysis and appropriate risk mitigations proffered. 1.7 The financial projections reveal a good level of liquidity and stability. The projected turnover for 2013, 2014 and 2015 respectively is N7, 950,000 N11, 150,000, N14, 300,000. Operating profit in 2013 is N572,500 increasing to N3, 304,500 in 2014 and N6,069,250 in 2015. The cash flow position is equally good and encouraging by the second year through the third year. 2.1	INTRODUCTION Debbie’s wedding and Events Company is a start-up company that provides wedding, Commitment ceremony and anniversary consulting services to brides, grooms and other Family members. We are a full service bridal consulting group whose goal is to put the”Fun” back into planning a wedding. From our experience, too many people become overly stressed and frustrated when planning these wonderful events. We are experienced consultants who will use our expertise to help create memorable and stress-free events for our clients. By doing this, our clients can sit back and enjoy their event. The result? We create weddings that are suited to the couple’s unique style: a true expression of their relationship and individuality as a couple. 2. The maintenance of excellent working relationships with vendors, hair salons, bridal shops, entertainers and musicians in other to provide our clients the best of these services. 3. To maintain a professional image in our industry and community. 4. Our consultants are experienced and dedicated professionals with many years of event planning experience. The enterprise would be located in VI area, Lagos where over 1500 marriages are registered each year which creates a sizeable market potential. Besides the wedding arrangements which Debbie’s wedding and event company believe to be their major client assignments, other events the company will provide services to include corporate retreats, etiquette training etc. This customer segment is estimated to have the annual volume of 1,000 orders in the Lagos VI area. All these risks would be controlled in the course of the plan. Although Occasions is primarily a service business, we also offer products to aid our customers in planning the event themselves. Party Pack: The Party Pack is a complete kit for any party. It includes decorations, lighting effects guide, disposable theme cameras, cutlery, plates, napkins, cups, punch mix (or recipe), snack supplies (or recipe), tablecloths, theme music (where applicable), invitations, thank-you cards, and a step-by-step guide to planning, putting together and hosting the event. Step-by-Step Guides: These booklets include a calendar to map out the event, a step-by-step guide on what is needed for and how to put together a successful, worry-free event, resource information, popular refreshments with recipes, games, and tips to put their event in the record books. The events available include birthdays for all ages, meetings, retreats, parties, vacations, and special occasion celebrations such as graduations, holidays, showers, weddings, and receptions. Event Planning Software: Due to be released August 2013, this cutting-edge tool will allow the client all the resources and visual aids for their event planning. They will be able to play with decoration themes, listen to theme music, design invitations, thank-you cards, and RSVP cards, use the interactive planning calendar, and much more. This software will bring their event into the millennium with cutting edge technology that is designed to save time and money. The market needs for wedding planning services are strongly shaped by the customers ‘desire to have a perfectly planned and executed wedding ceremony. Although both major customer segments (brides and grooms and family members) plan and budget for the wedding ceremony a year or more in advance, they often realize that they cannot make all the necessary preparations by themselves in a cost effective manner. Strongly affected by the established social values, such customers seek professional advice to ensure that all the important aspects of the wedding ceremony meet or exceed perceived expectations. Debbie’s wedding and Events company will offer its services mostly to the brides and grooms and to their family and friends mostly in Lagos and other states as well. The company will position itself as an experienced provider of wedding planning services but will also render services for other occasions such as birthdays, anniversaries. etc. 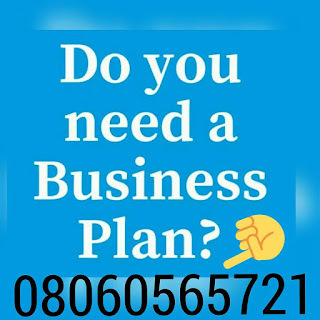 After payment text your names, your e-mail address and what you paid for to 08060565721 and you’ll receive your WEDDING AND EVENT PLANNING BUSINESS PLAN IN NIGERIA PROPOSAL.